Do you know a teen who LOVES Fortnite? These are a perfect gift and affordable gift. 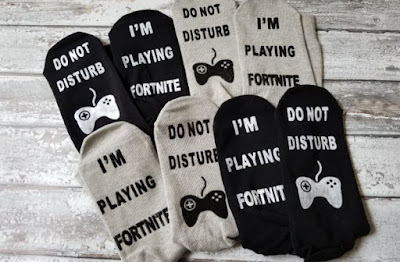 Groopdealz has grey or black I'm Playing Fortnite Do Not Disturb socks on sale for just $7.99 (regularly $29.99). Shipping is $3.49 for the first item and $1.00 for each additional.